Philip Glass came of age as a musician at the same time the percussion ensemble was first emerging in the concert hall. And though Glass has used percussion instruments extensively in his operas and orchestral works, it took a commission from Grammy Award-winners Third Coast Percussion to produce his first work for percussion ensemble. 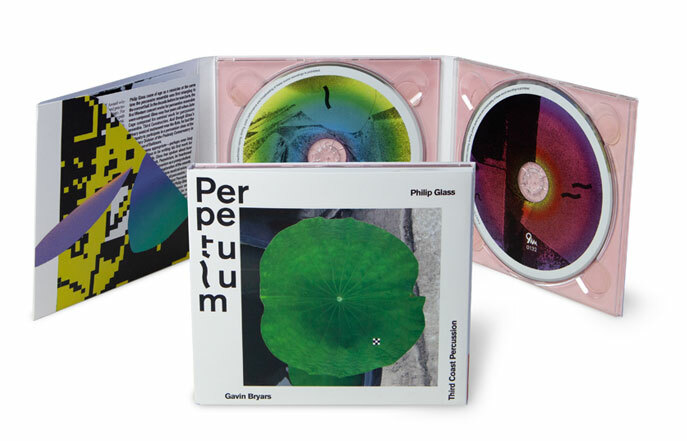 This new work, Perpetulum, is featured on Third Coast Percussion’s latest album and lends its title to the album as well. In addition, ensemble members Robert Dillon and Peter Martin each contributed works which TCP has toured extensively already, ensemble member David Skidmore contributed a multi-movement electro-acoustic work (Aliens with Extraordinary Abilities), and a new work by Gavin Bryars is featured, also commissioned by Third Coast Percussion.